8 Fantastic Free Kindle Self help Books for Saturday! *(Free for Kindle Unlimited) Becoming The Leader Of U Inc: Brutal Realism Within: To The Future Business Owner / General / Politician (Deal, Not Free) by Lee Sulima. Price: $8.99. 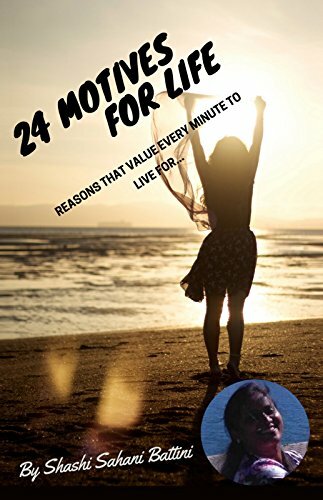 Genre: Self Help Deal of the Day, Sponsor, Success, Being our Own Natural Leaders, Written for the Leaders and Go Getters and Future Business Owners of the World. Rated: 5 stars on 5 Reviews. 100 pages. ASIN: B079Q91C4W. Get the paperback version at $12.95 here, please. *AWAKEN THE WILL TO LOVE: A GUIDE TO PERSONAL AND COLLECTIVE TRANSFORMATION THROUGH MEDITATION AND PSYCHOSYNTHESIS by Uta Gabbay. Price: Free. Genre: Nonfiction, Self-Help, Spiritual. Rated 5 stars on 4 Reviews. 99 pages. ASIN: B07GRKFWTL. *Mentorship Basics: An overview by Charles Rimiru. Price: Free. Genre: Nonfiction, Self-Help. Rated 5 stars on 3 Reviews. 44 pages. ASIN: B01LYA2DY2. *CHARACTER: Empowering Yourself with Emotional Intelligence (BECOME YOUR BEST SELF Book 1) by Jennifer Freed Ph.D. Price: Free. Genre: Nonfiction, Self-Help, Family. Rated 4.6 stars on 36 Reviews. 183 pages. ASIN: B01H23KR8C. Photographic Memory: A Simple Eidetic Memory Guide to Improve Memory, Productivity, and Happiness. Boost Your Memory with This Technique to Get More Done in Just 14 Days! (Deep Learning Book 3) by Louis Watts. Price: Free. Genre: Nonfiction, Self-Help, Memory Improvement. Rated 4.8 stars on 5 Reviews. 84 pages. ASIN: B07GFNQ8D8. Many Ways To Happy: Steps To Recreate Your Life by Kate Singh. Price: Free. Genre: Nonfiction, Self-Help, Motivational. Rated 4.7 stars on 4 Reviews. 74 pages. ASIN: B01A14UGFI. Posted on August 26, 2018 Author KibetCategories Memory Improvement, Motivational, personal transformation, Self Esteem, successLeave a comment on 8 Fantastic Free Kindle Self help Books for Saturday! Posted on August 25, 2018 Author KibetCategories Happiness, Memory Improvement, Motivational, Self Improvement BooksLeave a comment on 10 Amazing Free Kindle Self help Books for Friday! OVERALL a Good Fun Read for me! *Anticipating Temptation (Deal, Not Free) by Randi Perrin. Price: $1.99. Genre: HEA Romance Deal, Sponsor, Heartbroken Girl with Low Self Esteem, Can He Save Her for Herself. Rated: 4.7 stars on 21 Reviews. 126 pages. ASIN: B073HF2LG8. Get the paperback version at 10.95 here, please. *It’s My Destiny: Holding Fast in the Midst of Transition by Victoria R Gaskin. Price: Free. Genre: Nonfiction, Self-Help. Rated 5 stars on 12 Reviews. 92 pages. ASIN: B01CN52IZY. *Declutter Your Mind The Yogic Way: 15 Ultimate Secrets of the Ancient Indian Seers to Eliminate Mental Clutter, get rid of Negative Thoughts, Relieve Anxiety and have a Peaceful Mind all the time by Advait. Price: Free. Genre: Self-Help, Stress Management, Anxieties & Phobias. Rated 5 stars on 5 Reviews. 70 pages. ASIN: B07GD5ZBMS. *Speed Reading: Read Faster, Learn Faster, Remember More, Improve Comprehension Skills, Be More Productive and Get More Done in a Week! Don’t Just Speed Read, Speed Comprehend! (Deep Learning Book 2) by Louis Watts. Price: Free. Genre: Nonfiction, Self-Help, Memory Improvement. Rated 5 stars on 3 Reviews. 63 pages. ASIN: B07GFGVGQ9. *Caution Ahead: 94 Ways to Navigate Parenting by Dave Dutrow. Price: Free. Genre: Nonfiction, Parenting & Relationships, Family Relationships, Fatherhood. Rated 5 stars on 3 Reviews. 120 pages. ASIN: B07F47KDQN. *Graduated and Clueless: How to live like an adult when life is confusing by Caleb Bale. Price: Free. Genre: Nonfiction, Parenting & Relationships, Parenting, Teenagers. Rated 5 stars on 3 Reviews. 75 pages. ASIN: B07GH1XTRW. Parenting: Positive discipline: How to apply positive discipline on your child without punishing them: 25 Tips on how to raise a well behaved and a responsible child by Joe Jo Miles. Price: Free. Genre: Nonfiction, Parenting & Relationships, Parenting. Rated 4.1 stars on 4 Reviews. 29 pages. ASIN: B00XSXGR80. Posted on August 24, 2018 August 24, 2018 Author KibetCategories Declutter, Memory Improvement, Motivational, Self Esteem, Stress ManagementLeave a comment on 9 Excellent Free Kindle Self help Books for Thursday!